On March 2, 2014, Ronnie won the Welsh Open for the third time in some style! He made a maximum break in the very last frame of the event. 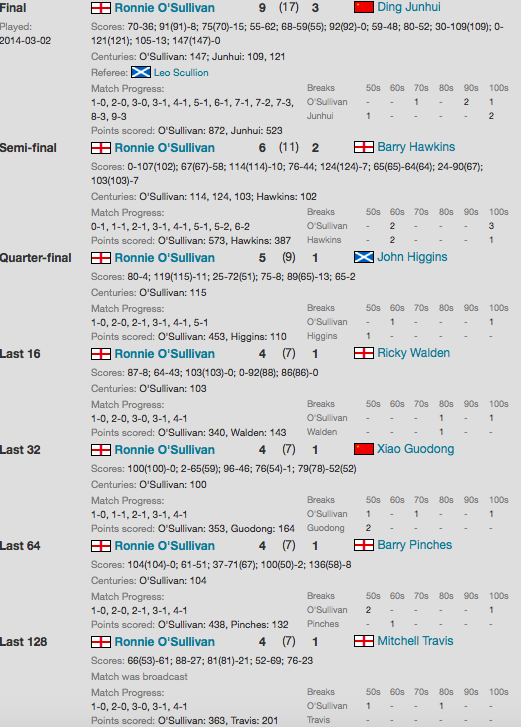 It was the first time, an to date the only occasion, that a ranking tournament concluded with a 147. It was the last match played in Newport, a venue Ronnie loves, and he wanted to give the crowd something special. Watch here Ronnie’s 12th maximum break – the last red to black is something special.